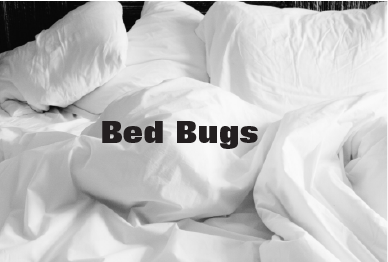 Bed Bug Services – Grand Rapids Pest Control, Inc.
Grand Rapids Pest Control, Inc.
Q. What is a bed bug? A. Tiny, parasitic insects who live off the blood of humans or other warm-blooded animals. Also called traveler bugs, they climb into suitcases or other belongings and are unwittingly carried by people into their homes. Q. Where do bed bugs live? A. They hide in dark corners in daylight and emerge at night to explore your residence. Once night falls, the bed bugs come out and feed on human hosts. Bed bugs make their homes in mattresses, behind headboards, picture frames, wall sockets and other areas where they can hide until dark. Q. Do we have to leave our apartment/home? A. Yes, All people and pets need to remain out of the treated areas for a minimum of SIX hours, longer if a doctor recommended (due to breathing problems or sensitivity to products being used). Q. Do I need to prepare other rooms besides my bedroom? A. Yes. Bedrooms, living rooms, bathrooms, and dining rooms should all be treated. If the furniture/bed has been moved from room to room before treatment then all rooms the furniture/bed were in must be treated and need to be prepared for service as well. Please have these rooms prepared and ready for service using the attached prep sheet. Q. What about the Floor areas? A. Make sure to pick up all pet food and water bowls, children toys, and pet toys off of the furniture and floor areas. Q. Can’t I just prepare the room I think they are in? A. Bed bugs are very difficult to get rid of, and eliminating them can cost a homeowner several hundred dollars. Everything in the house has to be treated to fully eradicate them.